Milwaukee Council OKs $3.4 Million Settlement Of Police Stop-And-Frisk Lawsuit The class-action suit accused officers of making more than 350,000 stops targeting black and Latino people without reasonable suspicion. 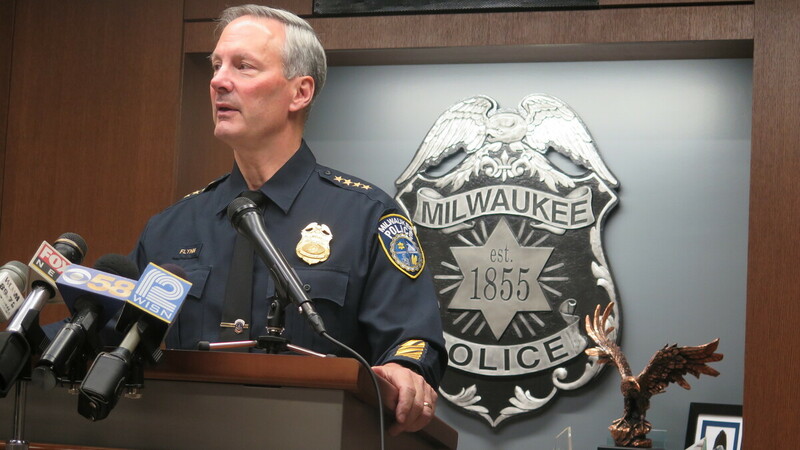 Retired Milwaukee Police Chief Edward Flynn, pictured here at a press conference in 2015, presided over the city's police department during the period when the ACLU alleges it stopped over 350,000 people without reasonable suspicion. And as NPR's Gene Demby reported in 2013, more than half of all black men in their 30s and 40s in Milwaukee have been incarcerated — and almost two-thirds of them come from the city's six poorest ZIP codes.